The first “CBD-pure” cannabis strain from Sweet Seeds®, with very low levels of THC, generally under 1%, and high levels of Cannabidiol (CBD), specially designed to satisfy the needs of therapeutic cannabis users who prefer to avoid the psychoactive effects of THC. Sweet Pure CBD® (SWS65) features a THC:CBD ratio of between 1:15 and 1:20, with levels of THC standing between 0,4% and 1% and CBD levels of around 8-15%. Such low levels of THC and high CBD turn our Sweet Pure CBD® into a cannabis plant with imperceptible psychotropic effects. With these high levels of CBD, therapeutic cannabis users can get an extra benefit from the medicinal properties of CBD. This strain is the result of two generations of autopollination (S2) of a CBD-rich clone with ancestors from the Diesel family. 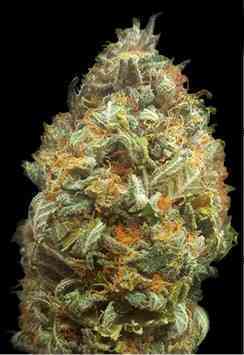 The aroma of this strain is sweet and fruity, with mandarine citrus tones and soft fresh hints of cypress. The plants present Indica-Sativa hybrid structure with Sativa predominance.